The gruelling public scrutiny. The aching loss of her brother. The days she fears she just ‘can’t do it’. And the humour that’s helped her through it all. 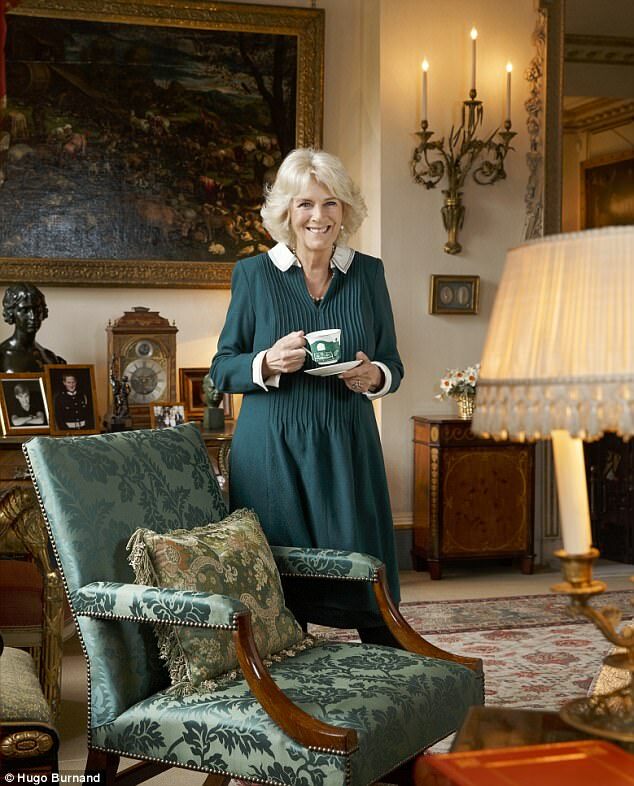 With Camilla preparing to turn 70, the Duchess of Cornwall and her inner circle talk with astonishing candour about her journey from public pariah to treasured consort. There is warm applause as she speaks, reading glasses perched on her nose, at a parade ground created by her husband’s great-great-great grandmother Queen Victoria. 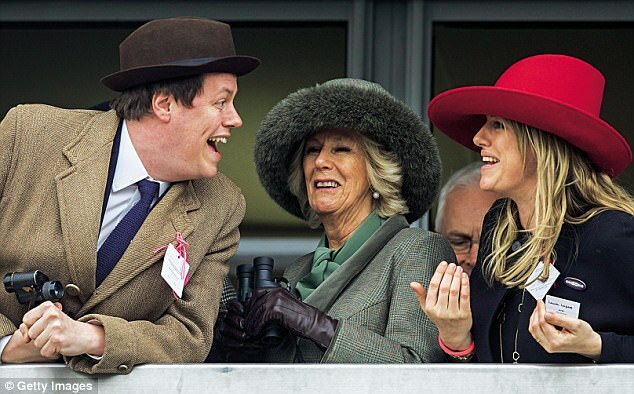 The unspoken question on many people’s lips is whether, as she nears her 70th birthday, the former Camilla Parker Bowles will one day follow in Victoria’s footsteps and also be titled Queen. Today, however, monarchical matters are not on her mind. In fact, she cheerfully replies if asked that she merely takes each day as it comes and never thinks about such things. What she does think about a lot, she tells the troops, is family – more so as she gets older. Family for her essentially means her children Laura and Tom, her five grandchildren, her sister Annabel and her husband of 12 years, the Prince of Wales – and, of course, his side of the family, which is always more complicated. After all, like her, they work for ‘The Firm’. Towards the Queen she has total reverence and devotion. Although frightened of flying, she arrives in Aldershot by helicopter from her home in Wiltshire, but with no Prince Charles to hold her hand, as he often does when the ride gets bumpy. Their extraordinary love affair has propelled her to this extreme public position as the number two royal lady in the land; she has suffered more than a little turbulence since they first met almost half a century ago. Since then she has endured the cruellest vilification when Princess Diana hysteria was at its highest, but is now firmly established in the public’s affection. Tourist shops display Camilla thimbles, mugs and tea towels; her in-tray overflows with requests for public appearances. What has never wavered is the deep affection Prince Charles has towards the woman to whom he refers in public as ‘my darling wife’, and nor has her reciprocal love for him. It has at times been a traumatising process replacing Diana to become wife to the future king. All the more difficult as Diana died in tragic circumstances aged just 36, and remains forever young. Yet this spring, as Camilla carried out a nine-day official tour of Europe with Prince Charles – 20 years after Diana’s death – there were scenes of adulation day after day, with the crowd in Naples standing ten deep. 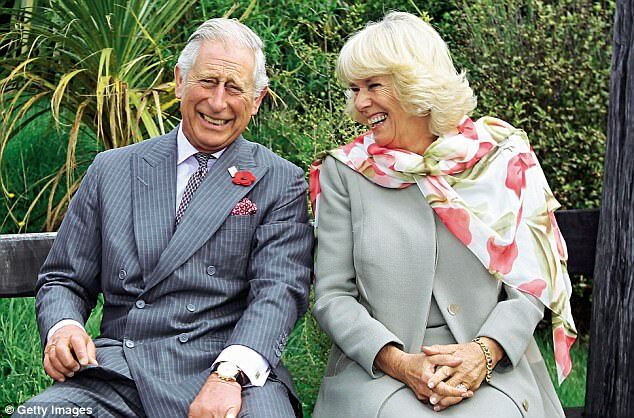 Photographs show Camilla smiling warmly; the constantly used description for her is ‘down to earth’. Never has there been such a reversal of fortune for a royal paramour since Prince Albert went from being a despised German outsider to revered Prince Consort upon his marriage to Queen Victoria more than 150 years ago. 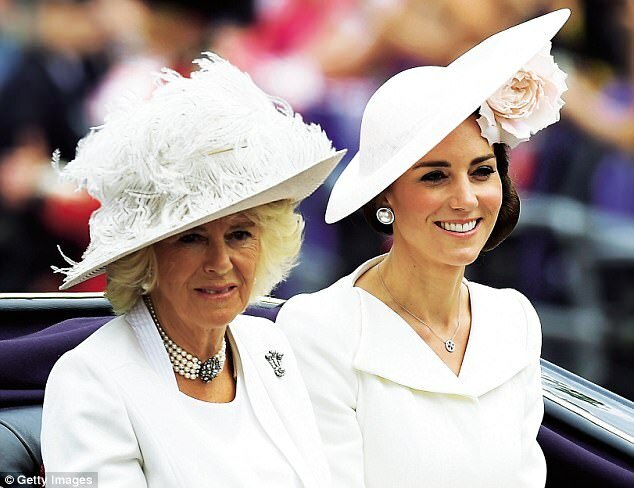 Camilla’s 70th birthday on 17 July will be a pivotal moment for the royal family. The Queen will be 91, the Duke of Edinburgh 96; the succession to King Charles III is no longer unimaginable. 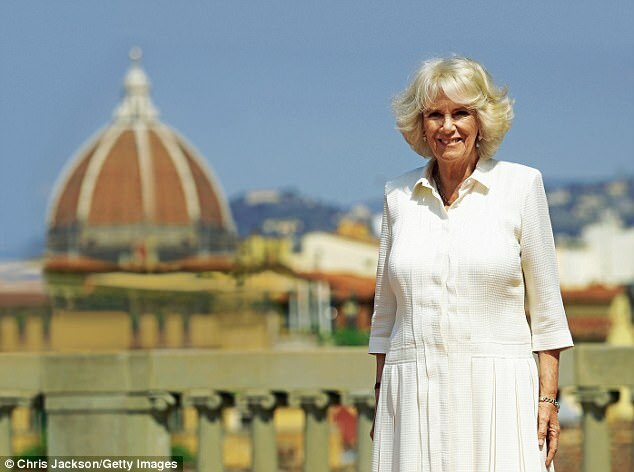 For Camilla, the days of duty stretch ahead – not what most women imagine they will be taking on at 70 – but it is a state of affairs she accepts with good humour and unassuming grace. Her schedule is relentless for a senior royal, constantly on show beneath the watchful gaze of as many as 100 journalists – not to mention the public. Every detail is scrutinised – her outfit, her make-up, her jewellery, her small talk – as well as the big gestures. 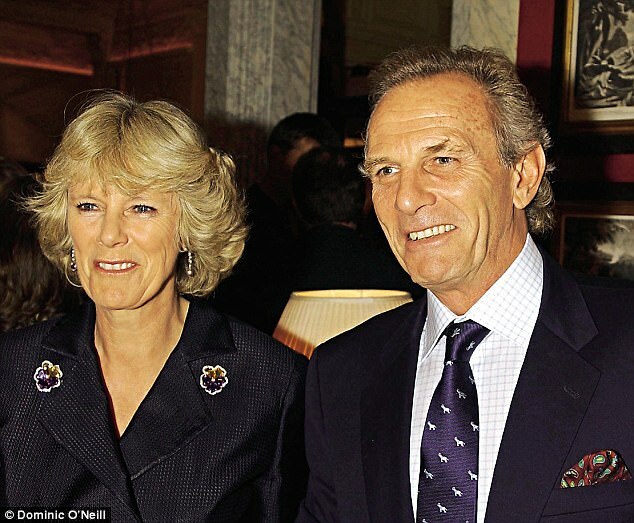 Camilla conducts more than 200 engagements a year. ‘Sometimes you get up in the morning and think you can’t do it, and you just have to,’ she tells a friend. ‘The minute you stop it’s like a balloon, you run out of puff – you sort of collapse in a heap.’ A bit like being on the stage? Not exactly, she says wryly. ‘I was the most ridiculous actor as a child and had a complete dread of school plays. Nightmare!’ she laughs. From her earliest days, Camilla has been happy-go-lucky, with a keen sense of mischief. ‘Her warmth is what everyone catches,’ says a former Diana courtier, completely won over; indeed, it’s hard now to recall the bitter national divide that once lay between Diana and Camilla. 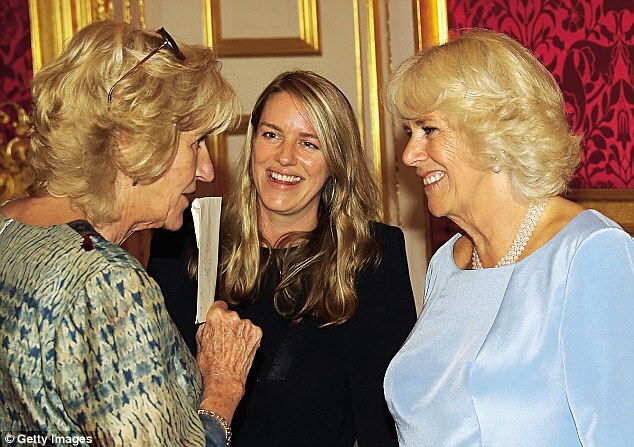 The strange thing for Camilla is that as she reaches 70 and takes on a greater workload than ever, she knows it’s a time when most of her friends are taking a step back. ‘Am I not young? Is that what you are saying?’ she joshes when a reporter asks about the stamina needed. ‘They’re going to have to invent a jab of some sort to keep me going,’ she jests. On her hectic European tour, she fulfilled engagements from morning till night. ‘I think you live on adrenalin,’ she says. And curiosity. At one official dinner she explained: ‘I genuinely like people and I’m so curious about them. Other people’s lives are so much more interesting than one’s own. It’s like going to a dinner where I almost feel like I am a psychiatrist. And it is the people she meets who motivate her. Such as Freddie Knoller, aged 96, to whom she and Prince Charles are introduced at the Jewish Museum in Vienna. Originally from an Austrian family, Knoller – who now lives in Bexley – was rescued from Bergen-Belsen concentration camp by British soldiers. 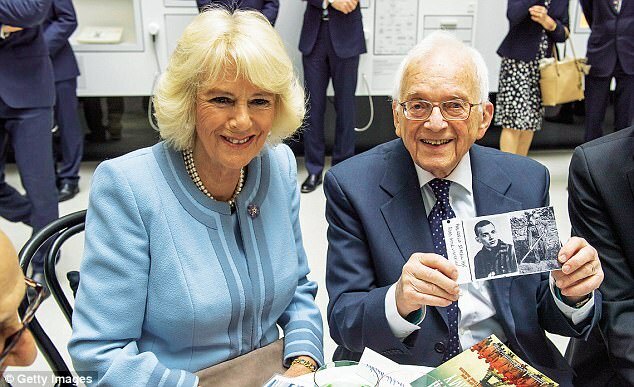 The Holocaust survivor – the only member of his family to survive the death camps – shows Camilla faded photos of himself, the distinctive striped prisoner’s uniform hanging off his skeletal frame. ‘You are heroic,’ she tells him quietly as he beams. In 24 hours she toured the museum, where she had this emotional meeting; she heard the Vienna Philharmonic Orchestra rehearse Beethoven’s Ninth, tasted Austria’s former imperial pastry chef’s apple strudel and fed sugar lumps to white lipizzaner stallions at the famous Spanish Riding School – all part of her royal tour to boost UK trade post-Brexit. ‘If you are a positive person, you can do so much more. People are either glass half-empty or glass half-full. I always think hopefully. You just have to get on with it. Being British!’ The velvet charm along with her smoky voice hides a steely resolve, often employed to ensure her workaholic husband’s programme is not too full. She is tiger-like in protecting him, which she does with the quiet suggestion that dictates everything. By referring to family she is not sentimental or slushy – in fact she and her brother and sister were noisy, robust and competitive. The Shands are talkative and warm, sometimes hot-headed, and they always say what they think. A big gap in her life is her much-loved brother Mark, who died after a fall in New York in 2014, aged 62. She is touching and funny about him, telling friends, ‘Mark always wanted something. When I heard his voice on the phone saying, “Camillsy…” I knew immediately he wanted something. But God, I miss him.’ Her closest confidante remains Annabel, to whom she speaks every day. And at times she has needed a secure bolthole more than most. At the height of her unpopularity she was chased and besieged by the press. While the more extreme stories – such as bread rolls being thrown at her in Sainsbury’s – are untrue, she was for a time a hate figure for Diana obsessives. Tatler magazine even had to call in the police as the hate letters were so cruel and deranged. And ‘normal’ is what Camilla does best. She kicks off her shoes to watch Nordic TV series, such as The Killing; she reads Robert Harris and Susan Hill and all the Booker-nominated novels. Home is where she potters about, goes on walks with her dogs, and watches a lot of TV. Time and again she emphasises how friends have been her life support. ‘For about a year, when we lived at Middlewick, I couldn’t really go anywhere. But the children came and went as normal – they just got on with it – and so did great friends. It has often been bruising. ‘I don’t think I’m tough but I do think I’m quite a strong character. You have to be, but I think it also comes from my upbringing. We were brought up in a very happy family and I can’t whinge about my childhood because it was idyllic. ‘Our parents gave us a certain amount of freedom, and we had a really good time. We’ve brought up our children in vaguely the same way. They’re very rooted, but I think that we were much more respectful of our parents, certainly than Tom and Laura are of me,’ she explains to a friend with a laugh. The Parker Bowleses are tightly loyal but always abruptly candid. Camilla has never complained about the difficult times when she was reviled by the press, only stating without a scintilla of self-pity what happened. ‘It was horrid. It was a deeply unpleasant time and I wouldn’t want to put my worst enemy through it. I couldn’t have survived it without my family.’ Is she good at putting things that are difficult in a box and saying, ‘I’m moving on?’ ‘Most definitely, yes,’ she replies. She follows the example set by her father, the late Major Bruce Shand. ‘He was so brilliant and he always came to the rescue. I remember once when he was staying with me at Middlewick and the press were outside. Every couple of minutes they’d be rattling the door, coming down the chimney, banging on the window; they were out of control in those days. They’ve changed a lot since. Camilla feels that her upbringing somehow prepared her for her royal duties alongside Prince Charles. ‘Thank goodness I was brought up with the grounding of my parents, and taught manners. It sounds, especially in this day and age, sort of snobbish but we left school at 16, nobody went on to university unless you were a real brainbox. Instead, we went to Paris and Florence and learned about life and culture and how to behave with people, how to talk to people. This was very ingrained in my upbringing and if I hadn’t had that, I would have found royal life much more difficult. The 70th birthday at Clarence House will be part duty and part gathering of those who have stood by her in the past 20 years, from charity workers to former policemen. There will be a quieter family celebration, too. Tom might cook her dinner as he often does, which she will enjoy with a glass of red. She always makes sure everyone has a good time. She embodies the perfect combination of sound judgment, strong duty, family loyalty, laughter and deep love for her husband. Not that different from the present Queen, in fact.